Who is ready for reptiles? We are! 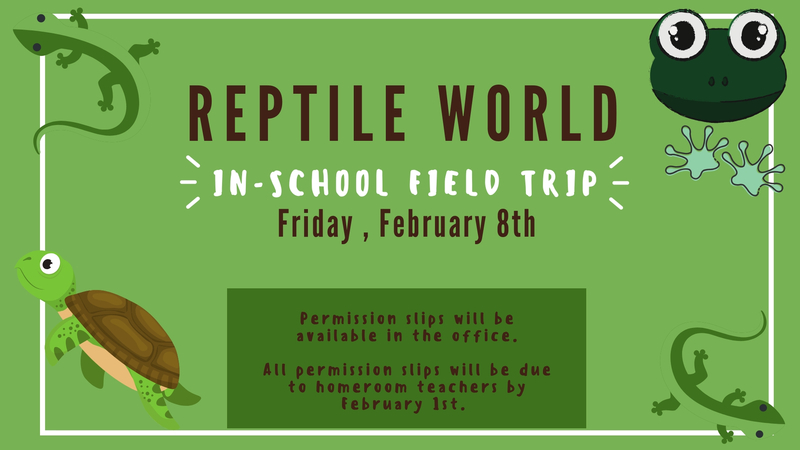 On Friday, February 8th, LCS will be hosting an in-school field-trip to Reptile World for grades K4 – 8th. Admission cost is $6.00. All payments and permission slips are due to homeroom teachers no later than February 1st. Permission slips will be sent home in Thursday folders, and available in the main office.